Nuclear physicists are now poised to embark on a new journey of discovery into the fundamental building blocks of the nucleus of the atom. 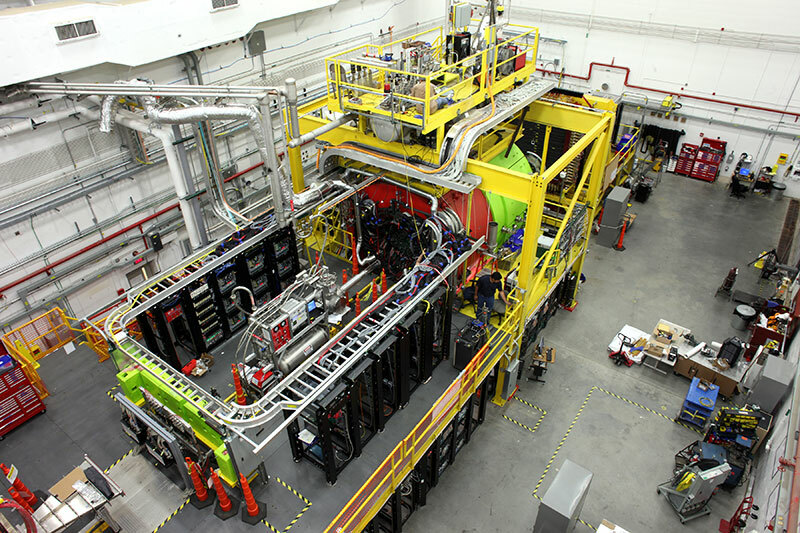 The completion of the 12 GeV Upgrade Project of the Continuous Electron Beam Accelerator Facility (CEBAF) at the Department of Energy’s Thomas Jefferson National Accelerator Facility (Jefferson Lab) heralds this new era to image nuclei at their deepest level. The unique capabilities of the newly upgraded CEBAF pushes the boundaries of the precision frontier ever deeper into the heart of matter and enables a full range of research opportunities. Completed on time and on budget, the $338 million upgrade has tripled CEBAF’s original operating energy and commissioned a new experimental area dedicated to providing insight into one of the universe’s great mysteries: why the fundamental constituents of matter, quarks, may never be found in isolation. 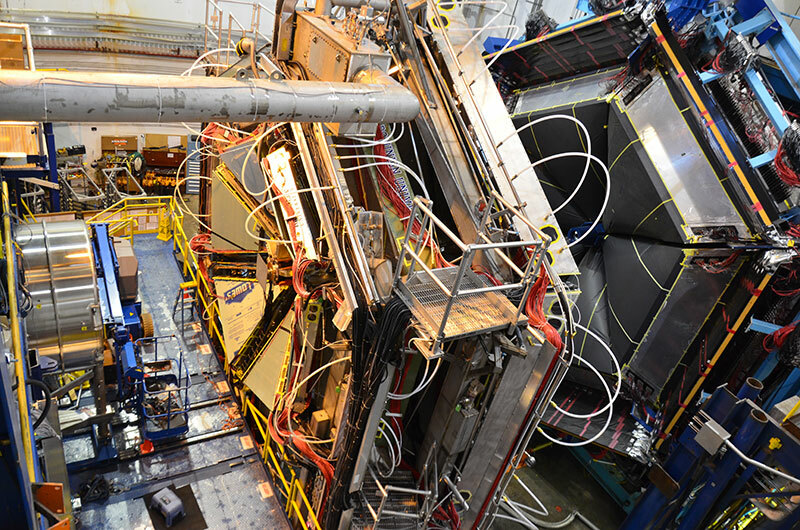 The three existing experimental areas were also upgraded to allow the 3D imaging of the quarks in nuclei and to facilitate unique searches for new physics. CEBAF, an Office of Science User Facility, is the world’s most advanced particle accelerator for investigating the quark structure of the atom’s nucleus. 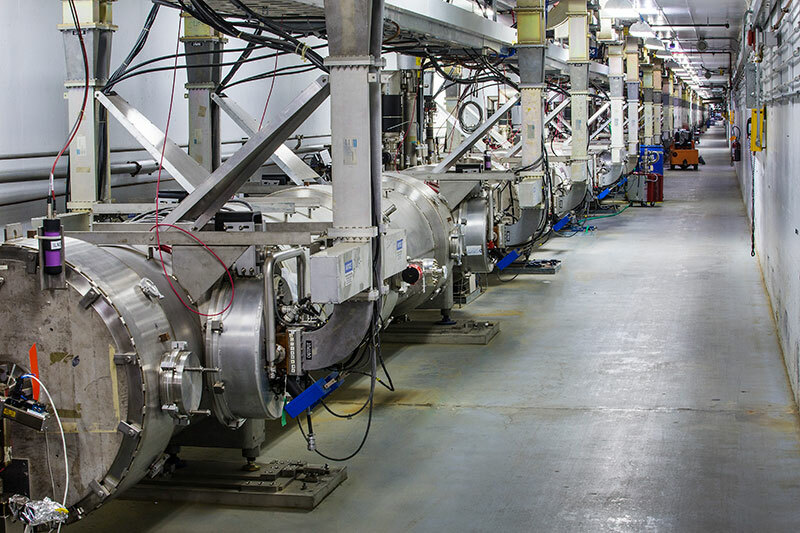 Based on superconducting radiofrequency (SRF) technology, the accelerator produces a stream of charged electrons that scientists use to probe the nucleus of the atom, its protons and neutrons, and their quarks and gluons. Its higher energy electron beams provide the cleanest probes of nuclear matter at the highest intensities ever achieved, enabling precision experiments that were once thought beyond our reach for deepening our understanding of nuclear matter. The CEBAF accelerator was originally designed to provide electrons at energies of 4 billion electron-volts, or 4 GeV, although efficiencies in its design and extensive experience in running the facility allowed Jefferson Lab operators to eventually achieve 6 GeV electron beams in its original configuration. 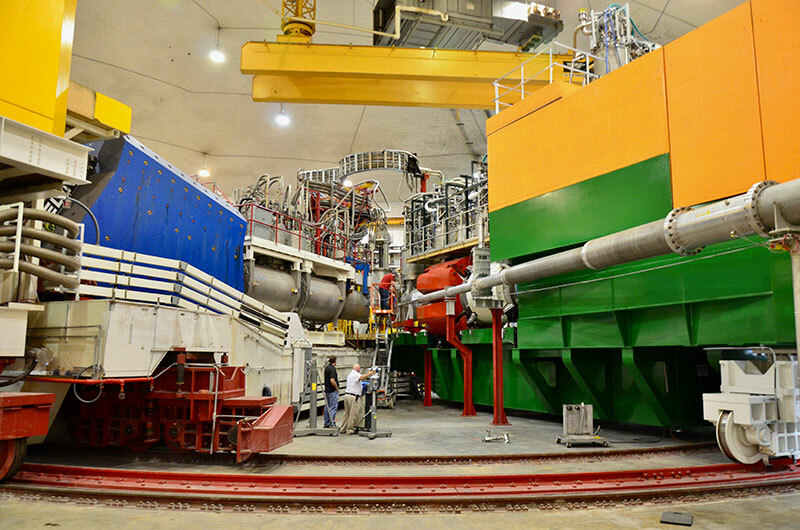 The $338 million, multi-year 12 GeV CEBAF Upgrade Project tripled CEBAF’s original operating energy. CEBAF is the world’s most powerful microscope for studying the nucleus of the atom. The CEBAF accelerator is cooled to within a few degrees of absolute zero to enable its superconducting components. If it weren’t superconducting, it would require three times as much power to operate, and performance would be greatly reduced. The mass of an object increases as its speed increases, so at 12 billion electron-Volts (12 GeV), the electrons in the CEBAF beam increase in mass 23,500 times.